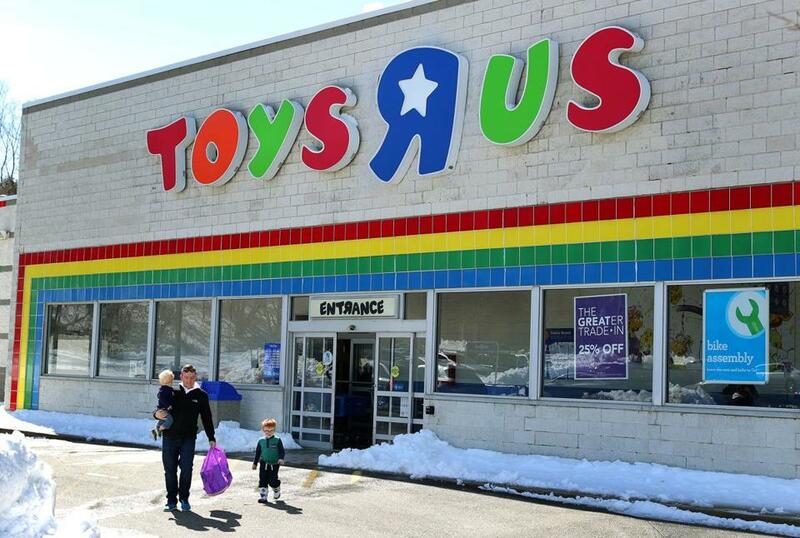 Toys R Us is declaring bankruptcy and closing all its stores, including this one in Kingston. Toys ‘R’ Us didn’t wanna grow up. But perhaps if it did, it would not have gone from dream destination for a generation of children to retail island of misfit toys. A confluence of factors led to the announcement this week that all its US stores will be closed or sold, including a debt-laden takeover in 2005 just as online shopping was beginning to take off. While the Amazon effect was a factor, industry insiders say that what put the nail in the store’s coffin is simple enough for a kid to understand: It stopped being fun to shop there. Over time, Row said, the company stopped connecting with customers on an emotional level. For children of the ’80s — the last generation to grow up without the Internet — its failure feels a bit like a gut punch. The liquidation could leave 30,000 employees out of work and over 735 storefronts across the country vacant. More than a dozen stores are within Greater Boston. Analysts have long said the root of the brand’s demise can be traced to the buyout by investors Bain Capital, KKR & Co., and Vornado Realty Trust for $6.6 billion, a deal that left the retailer buried in debt. Repaying the loans ate up most if not all of its profit each year. At the time of the takeover, the company was the biggest standalone toy seller in the country, with $11.6 billion in annual sales, but was beginning to feel discount retailers such as Walmart and Target on its heels. Both chains have dedicated far more shelf space to toys over the past several years, said Aaron Jodka, the Boston-based director of research at Colliers International. One of the biggest challenges the company faced — one that has also taken down other big-box retailers such as Borders bookstores and Sports Authority — was its decision to operate many of its stores as standalone destinations. Walmart and Target had the advantage of attracting customers with a broad range of products, from groceries to furniture. “I can think about how excited I was as a kid to go to a toy store — my sister used to call it Toys ‘For’ Us. But my colleague just said that his grandchildren refer to Target as the toy store,” Jodka said. Over time, Toys ‘R’ Us investors focused on paying creditors, leaving little money for the company to invest in modernizing its stores or technology. Stores began to feel dingy, disorganized, and dated, said Tushar Patel, chief marketing officer of Kibo Commerce, a retail software company. The company now has $5 billion in debt. “It wasn’t the classic case of Amazon stole our market share and sales,” he said. “It’s that people aren’t coming to our stores and when they come it’s a horrible experience,” Patel said. Meanwhile, discount retailers increasingly scooped up market share, in part by selling toys for lower prices and making up the revenue elsewhere. Of course, Amazon has also scaled up its toy sales in the past two decades and has dedicated vast resources to ensure parents can secure the hottest toys in time for the holiday season without having to face the shopping crowds. In fact, the e-commerce giant learned the business firsthand by partnering with Toys ‘R’ Us after the toy store struggled to fulfill online orders in 1999. In 2000, they signed a 10-year deal that made Toys ‘R’ Us the exclusive online source of Amazon’s toys and baby products. At the time, the chain’s website redirected to Amazon. But that deal fizzled after Amazon realized that there was more money to be made beyond the partnership, and started selling toys and games on its own. Toys ‘R’ Us won a lawsuit against Amazon, but it left the company years behind in its ability to compete online. It wasn’t until 2017 that Toys ‘R’ Us said it would invest $100 million to revamp its website. “Some organizations recognize faster than others there are shifts in the ways customers want to be communicated with and the way customers want to purchase products,” Toys ‘R’ Us chief executive David Brandon told USA Today at the time of the announcement. It was already too late. In 2016, Toys ‘R’ Us controlled just 13.6 percent of the toy market in the United States, according to research from IBISWorld, compared with Walmart’s 29.4 percent, Amazon’s 16.3 percent, and GameStop’s 13.9 percent. No one said growing up was easy.